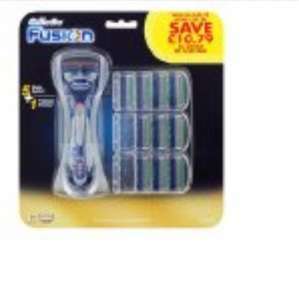 Just been in to my local savers....love this store and I've just seen that their weekly special offer is a Gillette Mach 3 or fusion pack for 19.99 each! Couldn't believe this grabbed 2...saves getting ripped of at the likes of tesco and asda!!! I know Gillettes are expensive anyway but based on the pricing surely a bargain if you use them? voted hot. just run out of blades so have bought some from my local mach 3 savers. good deal. i refuse to pay full price for the mach 3 turbo. got some mach 3 instead. almost the same blade so will do until mach 3 turbo become available.